My name is Victoria. 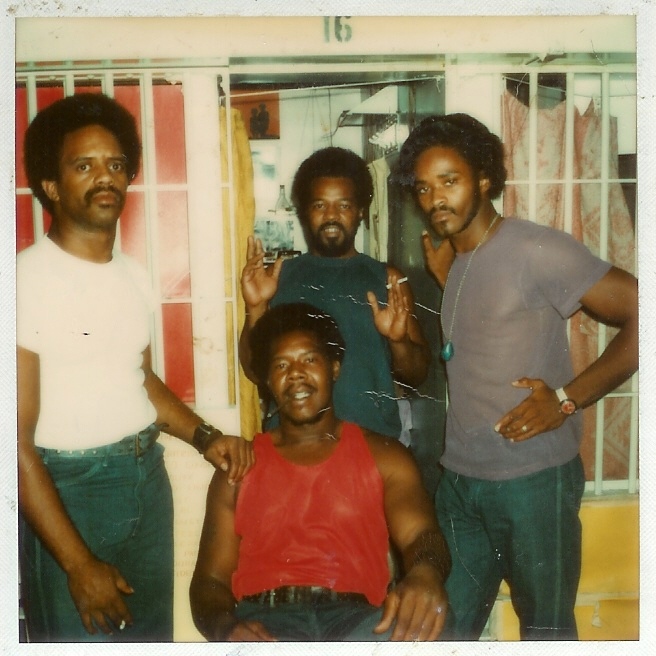 This is a photo of my partner Matt and some of his homies from Monroe Reformatory Prison just before we met in 1981. That’s him in the red tank top. This is just before he was allowed to attend college on a major four year university which is how we met. He was serving a prison term for burglary. That’s what’s up. I am reminded of what’s real every time i see this. There are people, black men, in prison for disproportionate sentences compared to whites and sometimes for crimes they did not commit. The prison industrial complex is part of a mammoth racist system that needs to be dismantled. What would happen if we didn’t have prisons? In 2008 my partner Matt passed away of liver cancer. Matt was African American and one of the most intelligent people i knew. We were married for 25 years. The liver cancer was a result of hep c which he got from sharing heroin needles. After 25 years of clean and sober, he passed. Before he passed, he wanted to make sure that his race had nothing to do with his inability to get a new liver. So he asked. And she responded. And I deflated. What if he wasn’t black, would he have been alive today? So now I am 50 and a widow. This is a blog about some of the stuff I typically would prefer to do if I didn’t have to worry about what anybody thought. Two years ago I gave up my five bedroom house and moved into a two bedroom condo by the beach. I started riding the bus, took up walking, lost weight and started dating. When I have time and energy to create, I make cards, banners, journals. I like to make stuff that is meant for a specific or type of recipient or something that I actually use. rather than scrapbook pages in an album. I paint and take photos, write, bead, create jewelry and sew. And crochet as well. I love to do a little bit of everything but everything with a purpose. For instance, I try to use materials that are recycled or re-purposed. I also like to go to yard sales and warehouses and find fabric, paper and interesting parts. I also try to stay as gender neutral as possible and intentional about the imagery I use on my crafts. I don’t want to promote stereotypes or biases about what people should look like or wear. Love yourself no matter what and do what make you feels good. Wear what makes you feel good. Tell your own truth. Keep it real. Crafts with a purpose. Heart people not parts.